November 2nd, No classes, No rehearsals, Thanksgiving. November 26th & November 27th- Nutcracker dress rehearsals, check schedule for cast and call times. November 28th, 29th & November 30th- Nutcracker school performances, check schedule for cast and call times. 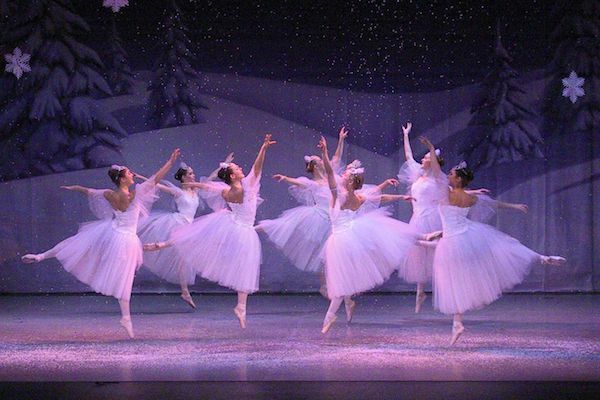 November 30th through December 2nd – Nutcracker public performances, check schedule for cast and call times. December 21st through January -6th- No classes, Christmas Break. January 31st – Last day to add a class for participation in the Spring Recital. Nutcracker Auditions (2019) May 31st & June 1st. June 10th through June 14th- Students observed for fall placement. June 14th – Last day of regular dance classes. July 1st – Summer Intensive 4 week session begins. Please remember, tuition is based on the 10 month dance school year, the number of classes may vary from month to month. For your convenience, tuition has been divided into 10 monthly installments so that tuition remains the same each month. Tuition is $600-$650 per year per classes broken into 10 monthly installments of $60- per month per class, for all on Auto pay, all others $65. Adjustments to tuition will be made only in the case of prolonged injury with a doctors note. Registration fee is $25 and is NON-REFUNDABLE.